Jonathan Gruber’s thesis that abortion had led to a crime drop is cold and almost certainly false. Jonathan Gruber, sage of MIT and proud champion of the Affordable Care Act, may well have had the worst year in American public life. His repeated demonstrations of arrogance, contempt for the American people, and smug self-satisfaction brought mortification to his party and president. His glib references to the redistributionist aspects of the Affordable Care Act gave the lie to the Democratic party’s dubious claim that the mandate was not a tax, along with the excruciating (to Democrats) acknowledgment that, presidential oaths to the contrary notwithstanding, Democrats regard “nontransparency” as their friend. So, all hail the verbally incontinent Mr. Gruber for revealing the truth underlying Obamacare: It would not have passed if it had been presented honestly. Gruber, Obama, Pelosi, Reid, and Co. didn’t ever succeed in hoodwinking the majority of Americans. Obamacare was unpopular when proposed, despised when passed, and remains disliked to this day. Gruber’s contribution was to put a frame around its essential deception. Enough to secure the “worst year” award? Yes, but as it happens, there was something else that emerged about him that dredges up some unfinished business from a decade ago. Recall that the 2005 bestseller Freakonomics made a huge splash with the claim that Roe v. Wade was responsible for the drop in crime America experienced starting in the 1990s. The theory, simplified for space, was that fewer unwanted babies began to be born after 1973. These aborted babies did not turn 18 in 1991, and accordingly did not commit crimes, leading to the dramatic drop in crime experienced in the 1990s. Considering that 30 percent of abortions are obtained by African-American women, though they comprise just 13 percent of the population, Gruber was in effect arguing that reducing the number of poor black children was, not to put too fine a point on it, a “positive good.” One cannot begin to imagine the outcry if a conservative academic (that rare specimen) had published similar conclusions with such sangfroid. Leave aside the moral obtuseness of arguing that abortion is justified because it reduces crime or welfare expenditures (which party is supposed to be stingy with welfare, again?) and consider the many, many possible explanations for the drop in crime that began in the 1990s. There was the waning of the crack epidemic. There was New York’s introduction of “broken windows” policing in 1994. New York’s crime rate declined by 70 percent between 1990 and 2000, and then dropped another 30 percent by 2005, a decline that was twice the national average and that was itself responsible for a significant percentage of the overall crime-drop numbers in the U.S. Or consider that the incarceration rate — local, state, and federal — quadrupled from 1980 to 2001. But let’s imagine that Gruber was right — that legalizing abortion eliminated a big cohort of the criminal element and led to a drop in crime. Did every one of those aborted criminals merit the death penalty? The car thieves? The embezzlers? Did each one deserve a preemptive death penalty? Before trial? Before the crime itself? Oddly, progressives tend to oppose harsh punishments for convicted criminals while quietly celebrating the ultimate penalty for those too young to have committed any offense. Of course, most of the babies aborted, despite growing up in less than ideal families and neighborhoods, would never have hurt a fly. Some would have grown up to be Ben Carsons, Charlize Therons, Walt Disneys, Oprah Winfreys, and Sonia Sotomayors. Most would be happy to be alive. Gruber’s thesis that abortion caused America’s crime drop is almost certainly false. But what’s more revealing is the casual readiness to calculate lost lives as so many numbers on a balance sheet. If it makes you uncomfortable that such a person helped design Obamacare, you’re not alone. 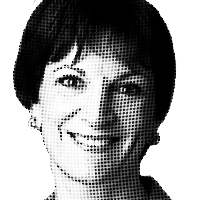 — Mona Charen is a senior fellow at the Ethics and Public Policy Center. © 2014 Creators Syndicate, Inc.